Employers are increasingly recognizing the ethical and economic concerns of not paying front-line workers enough to afford a livelihood. In October 2018, Amazon announced it would pay all U.S. employees a minimum of $15 per hour. While this seems like good news, it doesn’t cover what would be a “living wage,” according to Dr. Amy K. Glasmeier. Glasmeier, a professor of economic geography and regional planning at MIT, has spent decades understanding what constitutes a living wage for U.S. adults and families. Her website describes a living wage as a step up from poverty that covers the basic needs of an individual or family, but doesn’t take into account extra expenditures like holidays, buying a home, or saving to retire. To give individuals and businesses an idea of the economics of what makes a living wage in the U.S., Glasmeier created the Living Wage Calculator (LWC) in 2004. 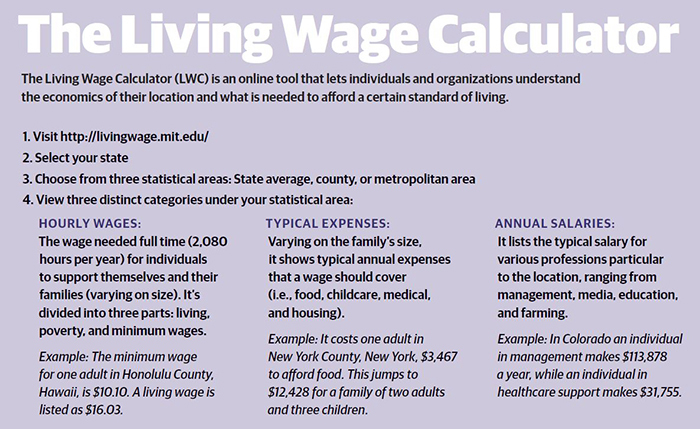 The Living Wage Calculator is an online tool that analyzes the affordability of a state and educates individuals and businesses on the pay rates needed to support workers of various livelihoods and family sizes. We talked to Glasmeier to discuss her tool and understand the ethical and strategic values of paying a living wage. 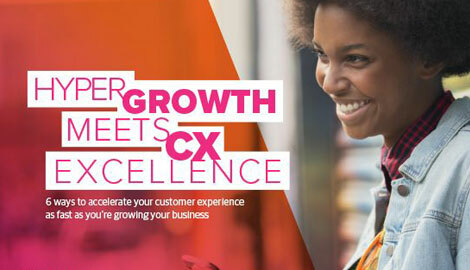 Why is the LWC an important business tool? Amy Glasmeier: Everybody recognizes that the minimum wage is no longer an indicator of the cost of living. If organizations pay people the minimum wage, they know they’re going to have very high rates of turnover. In addition, they’re not going to attract employees that necessarily have long-term commitment to a particular employer because for 25 cents more it makes sense for them to be mobile. How does the LWC help inform companies and individuals? AG: The tool was originally built for the individual perspective. If the cost of living was exceeding the wage rate that they were getting paid for by their community, it helped explain why they couldn’t make it. People are trusting, and may think they’re getting a fair deal with employers. But when they realize that they’re not making a living wage, they can see what factors in their cost structure are important, such as housing and child care. Why should a company pay a living wage, from a strategic standpoint? AG: I worked with the city of Dallas that had subcontracted out the more labor-intensive activities that they would have otherwise been responsible for, such as trash, convention management, and landscaping. They found over time that they couldn’t keep people in these jobs, and it was costing them money and their reputation. Conventions were running late, truck deliveries weren’t arriving, and trash wasn’t properly cleaned up. So from the strategic side of things, the city council saw this wasn’t working. They realized that they were not paying enough and therefore they weren’t getting stable employees. It’s as soon as they raised their wage to a living wage, their workers came to work on time, put their shoulder to the grindstone, and worked really hard. It was dramatic. They found the results so substantial that they increased the application of the LWC to all of their lower skilled jobs inside of the city. Given the economic pressures on the labor market, what companies have championed better pay conditions? AG: IKEA was actually the first company that I partnered with and they were interested in knowing what they should pay their employees and what should be a starting wage. We worked together to establish a living wage and we have been together ever since. They wanted a living wage because they felt it was the right thing to do, but they also wanted to be considered a good employer. And they’re a market leader, so they could do it and therefore they did it. Many companies use the tool and I don’t know they’re using it until one day I get an email from them saying they’re using the data and then we have a conversation about pro-business things to do. For example, if you have multiple stores in a region, but in different counties, you have all these occupation wage rates on the tool and so building wage bands makes HR much easier. According to Statista, 34 percent of those earning at or below minimum wage are 25-to-45-years-old. They have different needs than younger workers. How are companies managing these types of workers? AG: That’s a really good question. One of my partners, Patagonia, a high-end recreational equipment company, which is known for strong social concerns, started out their wage scale originally thinking that it was going to be for outdoor enthusiasts who would work part-time and for the rest of the year they would be out doing activities. And then it dawned on them that most of the people that started with them were still there and they weren’t paying enough to live in areas like New York or Denver. The people were dedicated to staying employed there because they loved the company, its products and lifestyle it supported, but they weren’t paying a living wage. We had a long discussion about how they employed people with families, high levels of student debt, and want to save for a house. So they realized that they needed to think about pay scales over the lifetime of a person’s career, because people were making careers of working there. With companies like Amazon raising their minimum wage, do you think creating better pay conditions depends on the corporations making the first move? AG: It’s important to know that there are actually a lot of big companies that already do pay living wages. Anybody that’s working in a technical field with high precision, for example manufacturing, where people’s lives can be lost if something goes wrong, it’s not the wage rate. It’s the performance of the individual that really matters to them. And in healthcare, the public’s taste for hospitals has changed. People don’t want to go to where the food’s bad and they don’t want to go to where it’s not 100 percent sanitary. But if you want to get that kind of performance, you need to pay people a living wage, because your workers need to believe you care about them and that you’re going to give them the capacity they need to do a good job. A lot of companies just figured this out because of absenteeism and poor performance. But you know, the minimum wage is half of what the living wage is in almost all metropolitan areas in the country. It’s unfathomable to believe that somebody can live on minimum wage in a place where calculations tell that the average wage has to be at least $16 to $18 an hour. A lot of our readers work in the contact center space, which is known for low-wage work. What advice do you have for them? AG: They can experiment by taking one place and altering the wage rate to see what happens in terms of performance. I have not had anyone, and literally thousands of companies use it, call me up to say paying people more money did not make a better worker. They can conduct experiments to find out exactly how valuable a pay rise is to them. There’s plenty of anecdotal evidence of what the benefits are to the organization. People’s stress levels and absenteeism go down and their sense of pride goes up. It’s also true that in industries where you have multiple facilities in a city, they’re competing with their neighbors for reputation and service. If you work in healthcare for example, you could go work at a competitor in your city. If they pay a living wage, you are going to take the skills you’ve learned and work experience you gained at the first company, which is costly. But when you’re in an isolated plant in the middle of nowhere, people don’t have anything to compare to. There’s a lot of tacit knowledge in every kind of economic activity, knowledge that the worker gains by working in the job they have. I was a janitor once and ran every piece of equipment you needed to use, so I didn’t have to be trained and I could have immediately moved into a supervisory position without anybody telling me what to do. Do you see any trends emerging around living wage standards and the use of the LWC? AG: I would like to see the tool become more spatially specific, which I know I’m right on the verge of being able to do because of the availability of data with sites like Zillow. We just have to figure out a statistical model to use that kind of information to make the tool more specific and therefore more helpful. What’s interesting is there’s this new kind of byproduct of companies trying to be sustainable. And one sustainability indicator that certain organizations are using is, “Does the organization pay a living wage?” So as a byproduct of that experience I’m getting calls from firms that want to be designated sustainable because that’s reputational value to them.